According to government figures, one in 10 rental properties, equating to more than 400,000 properties in England and Wales, could be unlettable if they fail to meet new energy performance standards by spring 2018. From 1 April 2018, privately rented properties must have a minimum energy performance rating of E on an Energy Performance Certificate (EPC). The regulations will come into force for new lets and renewals of tenancies with effect from 1st April 2018 and for all existing tenancies on 1st April 2020. Landlords will be unable to let properties which breach the requirements for a minimum E rating, unless there is an applicable exemption. Local authorities will be able to impose civil penalties of up to £4,000 for non-compliance. Although not confirmed, the government has also declared its desire to raise those standards further, such that the minimum standard is likely to rise to a D rating by 2025 and a C Rating in 2030. Older properties are most likely to have the worst energy efficiency ratings of E, F or G (on the A to G scale) owing to the fact that many were built long before good insulation standards were a requirement. According to a recent survey by the energy company E.ON, one in four landlords do not know their property’s energy rating, despite needing an energy performance certificate (EPC) by law. However, making improvements now could not only increase the property’s value, but also avoid potential loss of rental income should it become legally unlettable for non-compliance. Landlords should first review their property to check it has a valid and up-to-date EPC. 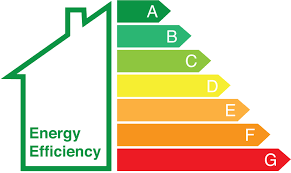 If the property has an EPC rating of “F” or “G” (or is at risk of becoming so), steps should be taken to improve the energy efficiency of the property so that it meets minimum requirements. The EPC report itself may recommend steps that can be taken to help upgrade the rating. Landlords should take advantage of void periods and lease breaks to make improvements, or ensure these are included as part of on-going maintenance and planned renovations. This entry was tagged EPC, Landlords, Minimum Energy Efficiency Standards. Bookmark the permalink.